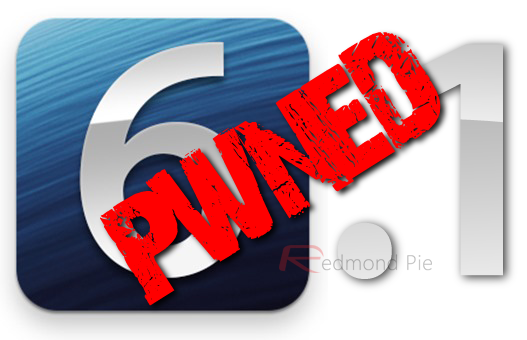 Those looking to jailbreak their iOS devices can rejoice, since a new tool named Evasi0n has just been released by the Evad3rs team which allows for an iOS 6.1 untethered jailbreak on almost all of the devices. Team Evad3rs was established earlier this year, combines some of the jailbreak community’s most talented developers: Nikias Bassen (Pimskeks), Planetbeing (David Wang), France-based Pod2g (Cyril) and Los Angeles-based MuscleNerd; all known for producing reliable jailbreaks in the past. This team was assembled in order to develop a reliable untethered jailbreak for iOS 6 for post-A5 devices, including the iPhone 5, the iPad mini and the latest-generation iPad. This has now been achieved with the just-released userland jailbreak tool, known as Evasi0n. Out of all new iOS devices, only the Apple TV 3 is not currently supported, although here’s to hope that a new tool will be developed soon that supports it. This tool is quite user friendly, yet we remind users not to update their devices over the air (OTA): instead download the latest iOS 6.1 firmware and update to it via iTunes or the standalone ISPW – to take full advantage of all the new features of iOS 6.1 with added benefits of jailbreak. It was quite a wait, but hopefully iPhone 5 users, as well as owners of previous iOS devices, will be able to customize their iOS setup to their liking, all thanks to Evasi0n jailbreak. We will be posting full how-to tutorials shortly, stay tuned for that! iOS 6 was originally released in September of last year, featuring many improvements to Apple’s mobile operating system, including a radically revamped Maps app, Facebook integration built into most of its apps, along with improvements to Siri, Mail and other built-in apps. Given the release of iOS 6.1 on the horizon for quite a few months now, developers were put off developing a jailbreak for iOS 6 until 6.1 was finally released last Monday. UPDATE x1: We have posted our full-how to video tutorial on jailbreak iOS 6.1, check it out! UPDATE x2: Evasi0n 1.1 has been released. Includes fix for Weather app crashing and long reboot times. If you have already jailbroken your device, you don’t need to jailbreak again. Just install the fixes from Cydia. Download links above have been updated with v1.1 links.